This election cycle has been exhausting. The endless torrent of sound bites blasted through the television, the revelatory number of click-bait articles on social media, and the overwhelming amount of animosity between neighbors with differing political signs in their front yards have left most of us feeling weary and worn. I don’t know if this is a common thing for pastors to experience during presidential election cycles, but I’ve had more people than I can keep track of show up at my office telling me which candidate God wants me to vote for. Many have already cast their ballots, but the majority of Americans will gather at the polls tomorrow to make their choice. Churches, schools, and other local community buildings will be filled with all kinds of people; people who are exercising their right to vote for the first time, people who feel they are being forced to vote for the lesser of two evils, people who will vote according to the party line regardless of the names attached to the positions, and people who believe that this election is the most important in the history of the United States. Sadly, there are some for whom the foretaste of power has given them the bravado to stand outside polling areas to intimidate other voters. Whether the shout at the top of their lungs, or physically approach particular individuals, they will do what they believe is right in order to secure what they believe is right. Sadly, this election cycle has led to the bombing of political offices and the burning of black churches. Violence and fear still reigns supreme in this country. Sadly, the anger and animosity percolating in the country will not come to a peaceful conclusion when all the votes have been tallied. Many will be just as angry, if not angrier, if their candidate loses. Friends, in this time of great strife and division, do not be weary in doing what is right. Do not forget that the people who we disagree with politically are the very people that Jesus calls us to pray for and love. Do not forget that to be Christian is to believe that Jesus is Lord, and that God is really in control regardless of who wins the election. Do not forget that though we may not think alike, we may certainly love alike. If you are in the Staunton area, I invite you to gather together at St. John’s UMC at 7pm tomorrow evening. As the polls close and the pundits proclaim early victories on the news, we will be in the Lord’s sanctuary feasting at the table. We will listen for the Spirit and ask for God’s will to be done. We will pray for our politicians, whether we voted for them or not. What’s right with the church? Easy sermon topic… I thought. I was having lunch with a some friends a few days ago when I casually mentioned the theme for our worship service this week, and shared with them my desire to accentuate the positive aspects of communal Christianity. I realized that this sermon was going to be very difficult to write when I asked them to share their ideas about what the church is doing right, and the table remained silent for an uncomfortable amount of time. What’s right with the church? Two weeks ago Sue Volskis walked into my office before our lectionary bible study and in addition to the crossword puzzles that she so graciously gives to me, she handed over a manuscript. The title read: “What’s Right With The Church; a sermon by Zig Volskis; May 17, 1987.” She had been going through some of Zig’s things and found a sermon about the state of the church that he had preached the year before I was born. Whatever I had planned to do for the rest of the afternoon was placed on the back burner and I dove straight into his writing. It is a beautiful sermon, and I wish that I could have been there to hear it in person. Instead of focusing on all the negative elements of church life, of which there are plenty, Zig dedicated the sermon to looking at the positive and life-giving elements of the body of Christ that is the church. Zig proclaimed that as a child he would have responded to his question with the church bells and music. They both represented the energy and depth of the worshipping community through sounds and music. The music of church reassured the people that God was the one in control, even if the world claimed the contrary. As an adult, Zig claimed that his answer had changed over a career of serving the church for thirty years. The first and foremost thing that is right about the church is that it endures! Empires come and go, churches are destroyed by war and exodus, yet the body of Christ endures. With all its blindness, and plundering, for all its refusal to use its enormous resources, the church, nevertheless, has sought to minister to human need in a thousand different ways. And for untold numbers of persons the helping hand of the church has been a life-saver. Zig ended the sermon with a call to those who love the church: make more room for it, bring to it your best and highest devotion. And to those who are not sure about the church: you will not find perfection here, but come in anyway, and help us make it better. There are so many things right about the church that the things that are wrong don’t really matter that much anyway. Amen. On Monday morning I read through our scripture lesson for today, part of Paul’s letter to the church in Philippi, and I kept hearing Zig’s words in my mind. Paul, like Zig, could have listed all of the things wrong with the church and then implore the people to be better. He could’ve listed their sins and talked about the importance of temperance and self-control. But he didn’t. Like Zig, Paul instead calls the people to focus on the goodness in their church lives. Let your gentleness be known through your living. Remember that the Lord is near, and don’t worry about the trivial moments of life but instead go to the Lord in prayer and the peace of God will guard your minds and souls. Whatever is true, whatever is honorable, whatever is just, whatever is pure, whatever is pleasing, whatever is commendable, if there is any excellence and if there is anything worthy of praise, think about these things. This is not a call to ignore the negative, nor is it a command to turn a blind eye to the problems of church. Paul is instead offering the church a way of understanding the world through the beauty and joy of what church can be. Take it from a young pastor – there are plenty of problems in the church; from here at St. John’s to the global church. Churches are broken because they are filled with broken people. I could stand up here this morning and outline the depth of our depravity, I could talk to you about the problems facing the Middle East, we could talk about the Ebola Crisis, I could share with you the remarkably inappropriate comments I heard other clergy make this week about homosexuality. We could spend our church service focusing on all the negative but we already do enough of that. It is nearly impossible to turn on the television, open a newspaper, or get online without being bombarded with the problems of the world. And if the media is so inclined to mention something about the church is it almost always a controversy or a reminder of our brokenness. So today, I want us to be different from the world. I want to follow Zig’s example, which is to say I want to follow Paul’s example, and talk about what’s right with the church. I never had a choice about being a Christian. There was a never a time in my life where my family was not part of the church. Some of my earliest memories are of Church services, living nativities, and sitting at the altar during children’s messages. As a kid I would have answered the question by saying the church is fun! Where else do we get to spend time on a weekly basis hearing about the incredible stories of God with God’s people? Where else will adults make fools of themselves for the sake of sharing the Good News with young people? For me the church has always been fun and I therefore had no reason to choose something else to do. The continued presence of the church in my life, and its influence over my actions and decisions, is a reminder that (unlike the popular American perspective) the choices made for us and in spite of us are often of more lasting consequences than the choices made by us (Willimon, What’s Right With The Church, 35-36). We like to think that we choose God, when in fact God is the one who chooses us. 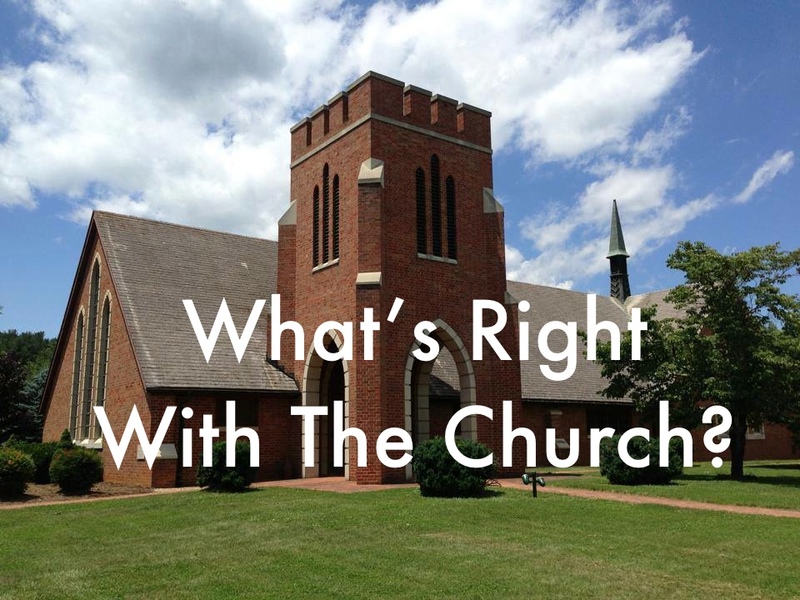 What’s right with the church? The church is the place where people discover and live-into the reality that God has gone looking for them. I might experience God in the middle of the woods, or in the loving embrace of a friend, but church is the place where I learn the language to articulate those experiences. My eyes are opened by the church regarding how to experience God in this place, and in the world. The community of faith proclaims the Word so that we can absorb it, and live it out in the world. The people who gather as Christ’s body reach out to us in love through God’s will to call us in. As I got older I might’ve answered the question by saying that the church’s music is awesome! Whether singing the incredible hymns from the hymnal, or wailing on the drums during a contemporary worship service, I have always loved church music. The words and tunes that we rely on every week articulate the faith of scripture and the value it plays in our lives. I love those moments when I find myself whistling a tune, or mumbling through the lyrics of a song only to realize that it fits perfectly with my present moment. Sometimes the music of church gets the better of me and my emotions runneth over. Some of you might not realize it, but I stand behind this pulpit when I sing the hymns, so that, just in case I start crying, none of you will see it. The music of our church is awesome because it can bring us to tears, bring smiles to our faces, reignite the flame of faith, and give us goosebumps. I love the music of church because it is so unlike the music we hear Monday through Saturday; it encourages us in our faith. While in seminary I might’ve answered the question by saying the church is a radically alternative community. This place in unlike anything else you can experience. The church at its best is a place where everyone can belong regardless of anything else in your life. Paul calls the church “a colony of heaven.” We are like an island of one kingdom in the midst of another. We exist communally because we could not survive on our own, we need others to help us stay accountable to the grace that God has poured on our lives. We work through our faith and live together in harmony as an alternative community where the world, for us, has been turned upside down. We are a strange group of people who are more focused on others than ourselves, we believe the first will be last and the last will be first. In this alternative community we are habituated by love for love. In baptism we take vows to raise children in love and faith, in marriage we take public vows to help the new couple remain accountable to God and one another, in funerals we offer honest and truthful words about someone’s life, death, and promised resurrection. But if you asked me today, right now, “What’s right with the church?” My answer would be: it’s incarnational. In the incarnation God took on our human flesh in Jesus Christ to be both fully God and fully human. 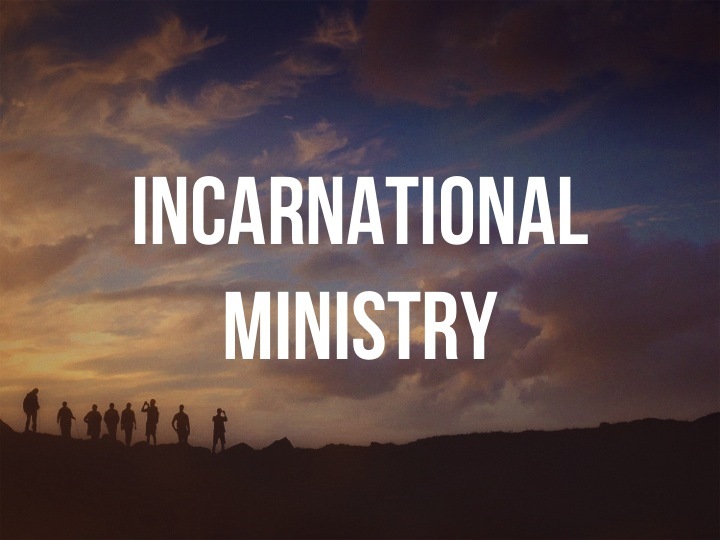 Our church is incarnational. We gather together to hear the Word of the Lord and let it become flesh in the ways we live our lives. The church is the fundamental location for discovering and receiving the peace of God. This peace is something that is beyond my ability to describe with words, but it is a peace that the world cannot give; money cannot by it, nor can we earn it through social positioning. The peace of God comes from God as a gift, peace which surpasses all understanding. It is a comfort that soothes every fiber of our being, while at the same time electrifies our existence into something new, bold, and incredible. In church we confront the living God who first breathed life into us, who walks along the paths of understanding with us side-by-side, and will stay with us no matter what. The incarnational church refuses to be moved by the expectations of the world, and instead remains committed to the love of God in our daily lives. We who have been Christians for any reasonable amount of time can remember others who have lived before us a life that was full of incarnational joy, people who heard the Word and let it become flesh in their lives. We are better, stronger, and fuller Christians for having known and watched such fellow disciples. And now we have the same opportunity to be a source of incarnational joy and life to others with whom we come in contact. In spite of its obvious corruptions and imperfections, it is the church that reminds us about the love of God that will not let us go, as it points us toward the true home of our souls. So, let me say to you who love the church: make more room for it, bring to it your best and highest devotion. Pray fervently for its renewal and commitment toward being Christ’s body in the world. And let me say to you who are not so sure about the church: You will not find perfection here, but come in anyway, and help us make it better. Help us open our eyes to the way the living God is moving and speaking in the world so that we can continue to be the body of Christ for the world. There are so many things right about the church that the things that are wrong don’t really matter that much anyway. In October of 1735 John Wesley and his brother Charles left England and sailed to Savannah, Georgia where John would be the minister in the newly formed Savannah parish. Part of his religious upbringing had already instilled a desire for holiness of heart and life and Wesley believed that his new appointment provided a wonderful opportunity to hone his craft and enrich his faith. During his time serving as the pastor attendance at the church services steadily increased though he was disappointed by the lack of lived-out faith outside of worship. 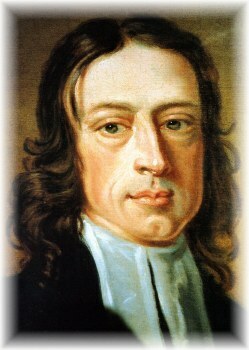 Even with the growth in worship, many in the community disliked Wesley’s high church background and it proved to be a continual element of controversy. During this same time Wesley began to fall in love with the young and beautiful Sophia Hopkey. They courted for a period of time but after a brief visit to preach the Good News to the local Native Americans, Wesley was remarkably disappointed to discover that Sophia had married William Williamson. Wesley was devastated by the news and took out his frustration in a rather inappropriate way; he denied Sophia communion during church services. Wesley, of course, had “reasons” to justify his actions (he believed that her zeal for living out her Christian faith had declined and he followed the guidelines from the Book of Common Prayer in prohibiting her sacramental participation) but he was also fueled by his heartache and anger in withholding the bread and wine. It quickly became quite the controversy and legal action was taken against Wesley eventually leading to him fleeing the colony and returning to England. One of the highest, and most difficult, callings of Christian disciples is to forgive. When confronted with the question of forgiveness in the community Peter ventured forth the idea of forgiving someone seven times when Christ augmented the proposal to seventy-seven or seventy times seven times. Forgiveness, it would seem, is not something to be measured and checked off the list, but instead something that is deeply entrenched within the life of the community. Wesley let his personal feelings get the better of him, and he foolishly barred a young woman from Christ’s table. Christians, both clergy and lay, are called to the difficult task of everlasting forgiveness, even when it hurts. Is there someone that you are still holding a grudge against? Who do you need to forgive in your life?